Your Achieve team has heard all but one of the above statements from Develop users who have chosen to go through the Individual Membership process and need their high school completion verified. Providing proof of High school education is a requirement for members to achieve a Career Lattice step above Foundational Awareness on the Minnesota Career Lattice. So, what happens if one of the above statements happens to be true for you and you aren’t sure how to track down your high school diploma? First, don’t panic. You have options. Achieve accepts a variety of documents to verify your date of high school graduation or GED completion, all of which are listed in our Acceptable Documentation policy. 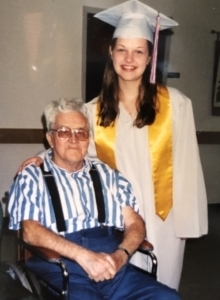 Julie, Achieve’s Communications & Outreach Coordinator, with her grandfather after her high school graduation. But if none of those options work well for you, you CAN track down your high school diploma. For starters, if your high school hasn’t closed or had a tragic accident in which it lost all of its records (has this really happened anywhere? ), reach out to them. Contact the school via phone or email and ask how you can retain a copy of your diploma. I assure you, they get requests like this often and can certainly help you. You may need to prove who you are and/or pay a small fee for your diploma to be mailed to you, but the process is generally quick and easy. Reach out to your school’s district office. Not sure how? Search for it on your computer by entering the school district and the state it was located to find the contact information. If this doesn’t bring up your school district’s information, you can also search by school district on the National Center for Education Statistics website. If you attended a private school, you can search on the National Center for Education Statistics website using the Search for Private Schools page. If you still cannot find your school district, this might mean the district no longer exists. In this case, you can contact the Department of Education in the state you attended high school. 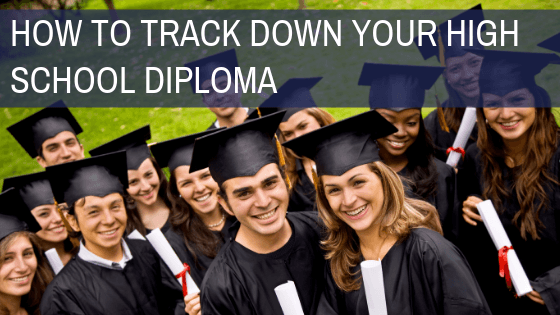 The Department of Education has records of current and past high schools and should be able to guide you in the right direction to retain a copy of your diploma. As always, we’re here to help you Achieve. Please contact us at support@mncpd.org with any questions about the Develop applications we process and their requirements. Top 3 Reasons to Use the Achieve Virtual Career Guide No Documentation? No Problem!